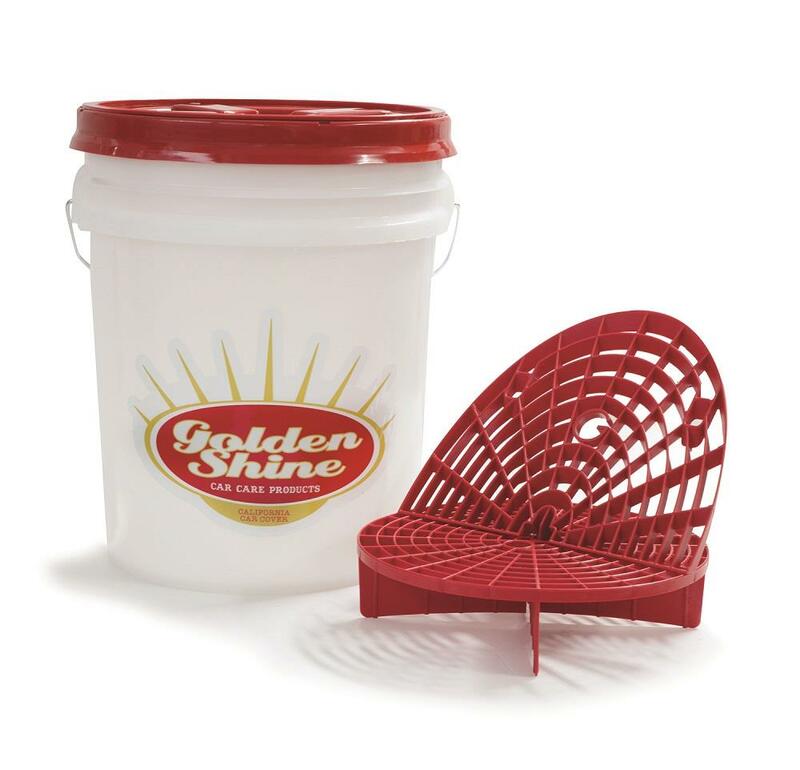 The Golden Shine wash bucket features a padded handle grip and utilizes the simple yet brilliant Grit Guard system, where dirt is trapped at the bottom of the bucket as you rinse the wash pad. Particles won't reattach to your washing tools and scuff or scratch your car's paint! The bucket holds a hefty 5 gallons and is made from extremely durable poly-propylene plastic with a Gamma Seal lid that spins on and off and provides an airtight seal. When not in use the bucket instantly doubles as a stool for cleaning and detailing the low areas of your vehicle.